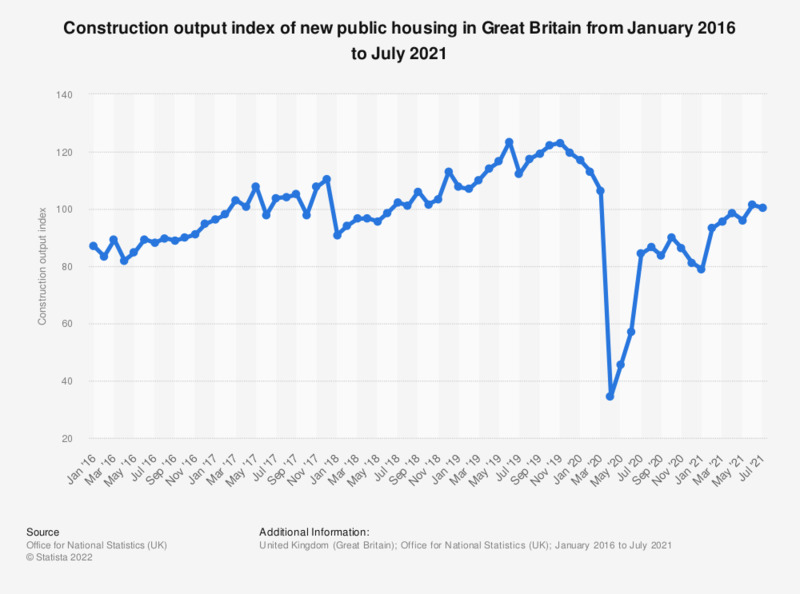 This statistic illustrates the construction output index of new public housing in Great Britain from January 2016 to December 2018. The index has increased over this time period, with some occasional drops, but reached a peak index value of 138.1 in December 2018. Everything On "Public building construction in the United Kingdom (UK)" in One Document: Edited and Divided into Handy Chapters. Including Detailed References. Statistics on "Public building construction in the United Kingdom (UK)"